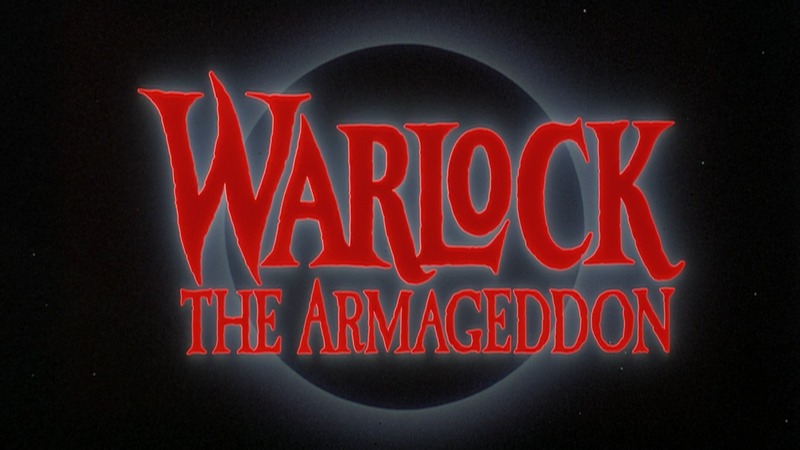 The Warlock movies are silly and at least in the case of the first two, they embrace their silliness and although the sequel isn’t as good, there’s some entertainment value, but the first is easily the best while the third is, well, better than expected, not that that’s saying much. Note: Ratings are averages of the three movies. Synopsis: Boston, 1691. After the Warlock (JULIAN SANDS) escapes witch hunter Giles Redferne (RICHARD E. GRANT), he is hurled three hundred years into the future where he wreaks havoc in modern-day L.A.
Quick Hit Review: The first of this vaunted trilogy is a hoot of a film, mainly for the clearly tongue-in-cheek tone and three fun-filled performances from Julian Sands, Richard E. Grant and Lori Singer. No, it’s not some supernatural horror classic, and perhaps a slight notch below Wishmaster, this is a film still well worth checking out. Synopsis: The Warlock (SANDS) returns to try and free his father from the fiery chains that imprison him – and is challenged by two warriors (CHRIS YOUNG, PAULA MARSHALL) with supernatural powers. 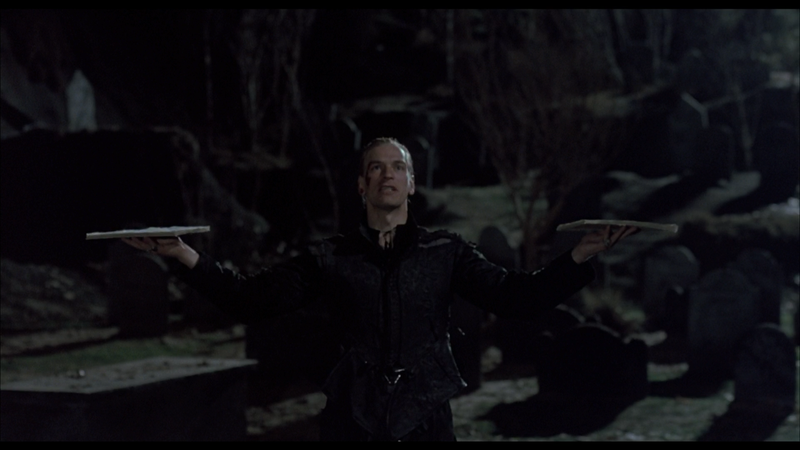 Quick Hit Review: This sequel finds Julian Sands back, despite being “killed” in the first movie, but coming back in a, um, creative way by being literally reborn out of the womb of a modern day woman wearing a stone. It’s dumb, not nearly as good as the first, and yet still quite cheeky in its tone and still at least mildly entertaining. Synopsis: After Kris Miller (ASHLEY LAURENCE) moves into the abandoned 16th-century mansion she received as an inheritance, she is visited by a Warlock (BRUCE PAYNE) with some unfinished business: stealing Kris’s reincarnated soul. 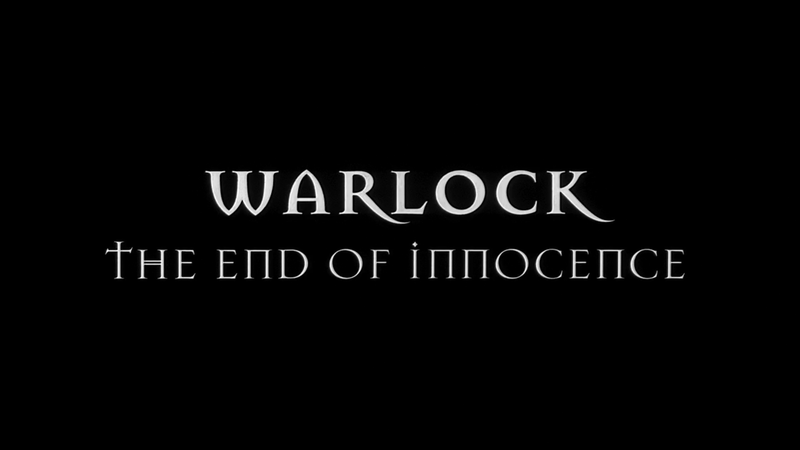 Quick Hit Review: And finally, the conclusion, which was straight-to-video, does away with any story about how the Warlock comes back, this time portrayed by Bruce Payne, and he kind of just shows up to the creepy old house. The plot is rather basic as he merely tempts each of these “Dawson’s Creek” wannabes and outside of a couple gnarly scenes, not much stands out, though for the few Botti Bliss fans out there, she’s not bad and Payne for his part, albeit doesn’t have the Sands’s presence, was an acceptable enough Warlock. This two-disc release comes housed in a standard Blu-ray case and comes with a glossy slip cover with a banner matching the others in the Vestron Collector’s Series releases. Audio Commentary – Director Steve Miner. This track, moderated by Nathaniel Thompson has the director recollect his work on the film and how he came to the project. These are new interviews made just for this release and offer insights from each on their roles on the film and include some behind-the-scenes footage. Nothing major here but for a somewhat obscure film, it’s not bad. Behind the Scenes Footage (17:35; HD) from 1988/89 as they shoot a couple of scenes. Vintage Interview Segments (40:28; HD) has some extra footage with the cast chatting about their characters. Vintage Featurette (5:50; HD) goes behind the scenes on set with Fullerton and Martz. Vintage Featurette (5:51; HD) with VFX Supervisors Patrick Read Johnson and Robert Habros, Animation Supervisor Mauro Maressa, and Matte Artist Robert Scifo. Vintage Making-Of Featurette (7:43; HD) was made to advertise the movie but includes on-set interviews with the cast. Behind the Scenes Footage (4:57; HD) is just some fly-on-the-wall kind of stuff showing the prep work for two scenes. Extended Interview Segments (5:41; HD) with Julian Sands, Paula Marshall and Anthony Hickox; basically the stuff cut out of the vintage featurette. Also included are the Theatrical Trailer (1:50; HD), some TV Spots (1:14; HD) and a Still Gallery (4:10; HD). This disc is rather weak with only: Red Band Trailer (2:22; HD), a Video Sales Promo (0:44; HD), some Behind the Scenes Footage (14:06; HD), a Still Gallery (3:44; HD) and Vintage Interview Segments (43:19; HD) with the cast and crew. 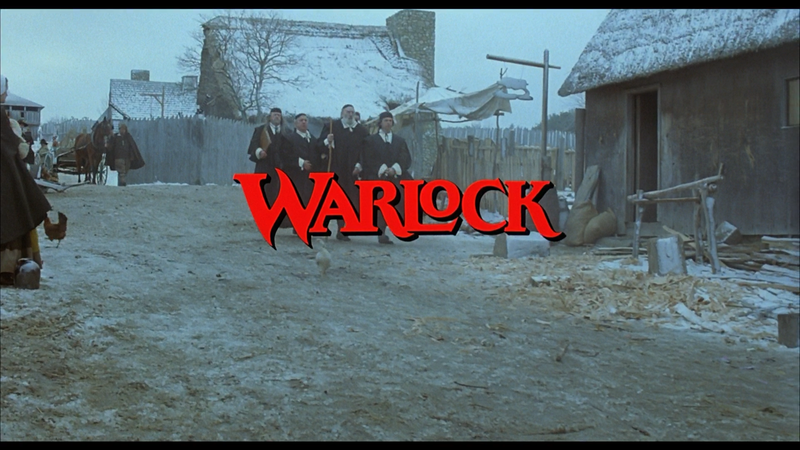 Each film in The Warlock Collection are presented in their original aspect ratios and given 1080p high-definition transfers. The first film (3.5/5), with its 1.85 AR, looks decent enough and provides some good detail while colors aren’t exactly vibrant, though skin tones appear natural in appearance. The sequel meanwhile is, to put it mildly, a mix bag (2.75/5) as I felt was a bit pixilated in many spots where detail isn’t very sharp and the transfer is littered with dust marks, specs, scratches and, in one instance, some film damage. The third movie fairs a tad better (3.0/5) with some fine detail and there are some pops of color here and there. All three movies (giving them all a 3.5/5) come with 2.0 DTS-HD Master Audio tracks and really, not a whole lot of difference between them. None of them are particularly noteworthy but they do provide crisp and clear dialogue levels and when the supernatural elements kick in, there is some mild depth, but being limited to two channels, it is on the limited side combined with the fact none of these were exactly big productions, the third especially. 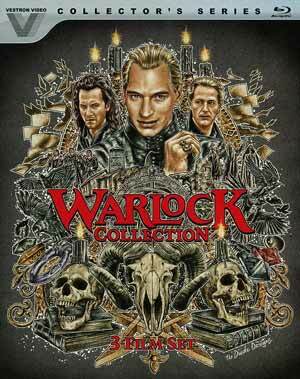 Overall, the Warlock movies are silly and at least in the case of the first two, they embrace their silliness and although the sequel isn’t as good, there’s some entertainment value, but the first is easily the best while the third is, well, better than expected, not that that’s saying much. As far as this collection goes, there are some okay features and the video/audio transfers are maybe on the average side.